According to the National Institutes of Health, nearly 12 million Americans suffer sleep apnea and those are the ones that know about it. The challenge with sleep apnea is discovering it. Once it’s discovered and diagnosed there are a number of treatments to relieve the condition. 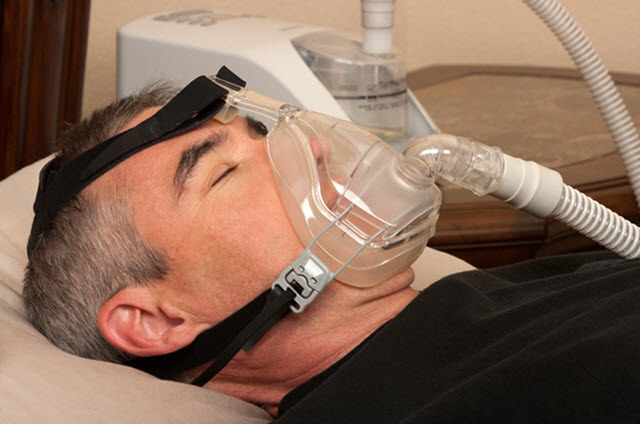 One of the most common pieces of technological equipment in the sleep industry is the CPAP machine, or Continuous Positive Airway Pressure machine. The machine was developed in the early 1980s and based on the same principles engineered into the patient breathing machines in hospitals. In fact better breathing machines based on the technology in the CPAP are now used for a wide variety of breathing compromised patients. The idea is to provide constant oxygenated pressure that keeps the airway open and free from its nature to collapse during a breathing cycle. Even in just the last 10 years the CPAP machines have become less inconvenience and utility and more a part of the bedroom background. The noise level is lower, the face mask much more comfortable and the experience overall not nearly the nuisance it was formerly. Bilevel Positive Airway Pressure machines and adjustable airway machines may be used to treat complex and central sleep apneas, respectively. If you are overweight, consider a diet that lets you lose weight at a reasonable measure. Obesity is a main ingredient of obstructive sleep apnea. If you drink a lot of alcohol before going to bed you can reduce the possibilities for obstructive sleep apnea by cutting back or eliminating late night alcohol consumption. If you smoke; try quitting. Use nasal breathing strips. These products are affordable and help keep nasal passages open at night, as an aid for breathing problems. Practice good sleep hygiene: avoid stimulants before bed, establish a routine bedtime and wake time, get plenty of exercise and the right food. Elevate your head while sleeping. Sleep on your side to keep your airway open. Use a humidifier to keep the air in the room moist and breathable. If you have sleep apnea unless you have a partner or spouse that shares the bed with you, it’s not unlikely that your disorder could go undiagnosed and untreated for years. And you’d never know it. Why? Sleep apnea can be characterized by loud and disruptive snoring and you could frequently in the night choke or gasp for air. The danger is that in most cases you won’t fully awaken to remember the “event,” or pause in breathing during sleep. This breathing pause or event can be lengthy and pose serious threats to your health long-term.